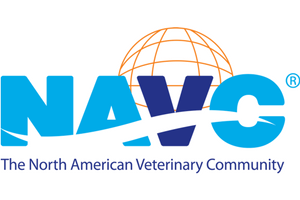 The North American Veterinary Community (NAVC) announced today an expansion to its senior executive team with the addition of senior vice president of events and exhibits as well as an upgrade to the existing chief structure. The NAVC appointed Dan Valha to lead operation initiatives for the NAVC’s largest event, Veterinary Meeting and Expo, overseeing the event operations, customer service and exhibits teams. 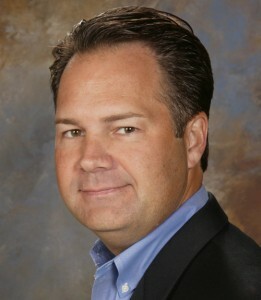 In his previous roles, Valha oversaw meetings and events totaling $100+ million in room revenue as vice president of global accounts at ConferenceDirect, directed the sales and marketing efforts for 21 hotel properties as Hyatt Hotels divisional director of sales & marketing for the Northeast region and oversaw the Walt Disney World Company’s national sales offices in New York, Washington, Chicago, Atlanta, Sacramento and Orlando. In addition, Valha served as Disney Resort’s managing sales directors, which included management of all national sales efforts for all Disney properties, Disney Cruise Line and resorts around the globe with a specific focus on events and conventions. “We are thrilled to add Dan’s tremendous level of depth and experience to our team. This new position as well as some other shifts in titles and responsibilities round out our executive team. We have long needed the operational effectiveness Dan brings to the team,” said NAVC Chief Executive Officer, Tom Bohn, MBA, CAE. Valha will report to the association’s Chief Financial Officer, Gene O’Neill, CPA, CIA who will add Deputy CEO to his title. O’Neill has been with the NAVC for five years and currently oversees all technology and accounting initiatives and works closely with the Board of Directors. NAVC Chief Operating Officer, Pete Scott will move to chief product officer, to focus on new product launches, certification programs, the Veterinary Innovation Council, the Industry Services division, VetFolio and any new product or program-related partnerships. The inaugural certification program, the Human-Animal Bond Certification, formulated under the direction of Scott, is quickly gaining momentum and will launch at the association’s flagship event next month. Lastly, Chief Media Officer, Laura Walker will take on the new title of chief media and sales officer to oversee the quickly growing publishing and sales division. Walker formerly served as a senior executive with Bonnier Corporation, one of the largest special interest publishing groups in America.